Oh, I'm doing a little happy dance this morning! Of course, I do a happy dance every morning, but today's happy dance is especially bouncy. Why? Sugar Nellie. Ok, you're really baffled now, aren't you? I'll stop being cryptic... 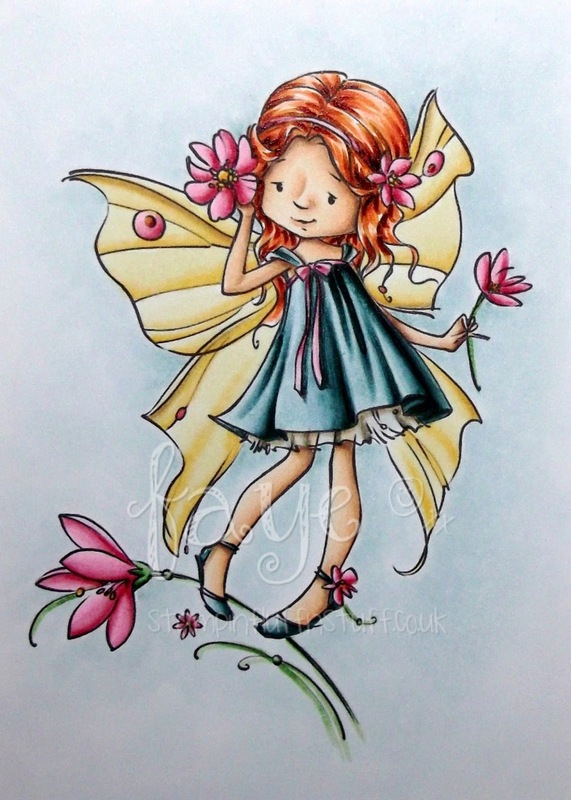 I'm really pleased to be joining the Sugar Nellie Design Team for a short while. One of the very first stamps I bought came from Funky Kits, so, it's fair to say, I have been a fan, for a looooooooong time. Today, I am playing with this gorgeous girl, Live Laugh Love and oh, oh, oh, she was fun to colour. A sweet little image like this needs a simple card, so she can really sing! Oh what a beautiful, gorgeous card. Yummyyyyyyyyyyyyyyyyyyyyyyyy! She's totally gorgeous Faye and congrats on falling into the "Sugar Bowl"!!!! Wow amazing colouring again and what a sweet image! Once again a fabulous card! Congratulations... How wonderful for you. This card is adorable. Love the image. This is totally stunning!!! I love all of the definition you gave her nose!! Love it! Mmmm, that DP makes me think of candy. 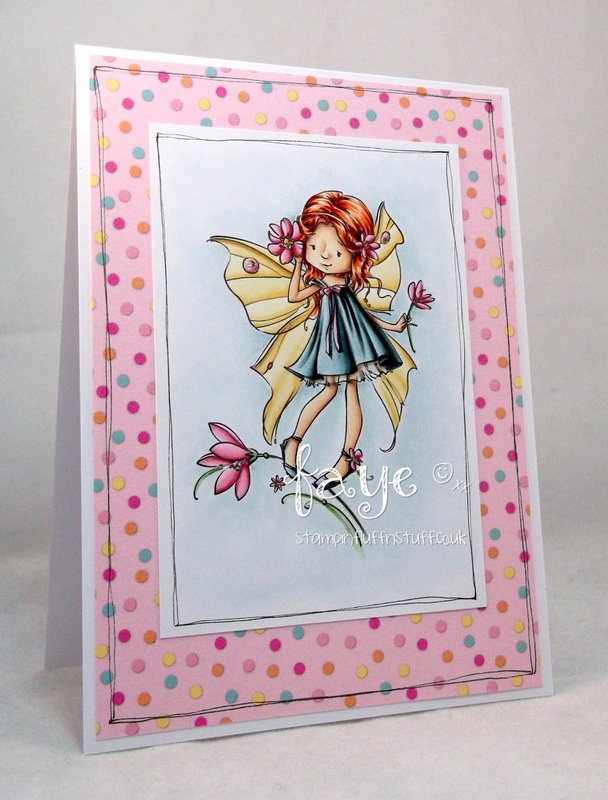 I love Doodlebug Design paper, they're so colorful and easy to use. Your little fairy is such a cutie! Congrats on your DT position! Wow 3 cards in one day !!! This one is also adorable ! Oh Faye, your colouring just amazes me every time. Stunning. I really love your cards Faye. Always coloured so beautifully. I love this one. Congratulations on your DT. well earned. Your folds are a work of art. Off to a colouring class this Saturday. hugs Muver.